Fume hood intensive project featuring teaching fume hoods with double sided clear glass and one compliant ADA hood. Included in the product mix is CIF Lab Solutions S-Line Series two toned painted metal casework. This building is a teaching tool implementing STEM along with the Project Lead the Way program. Product scope includes Case Systems plastic laminate casework and solid surface countertops. A modernized hands on research and learning facility. Featuring CiF E-Line Series premium Tier 1 wood casework, Apex-Air fume hoods and a CiF Lab Solutions flexible Center Core Series throughout. Received LEED Gold certification. The New Tech High School’s innovative focus created a Problem Based Learning environment for STEM curriculum. It features CiF Lab Solution’s Pinnacle Series flexible lab tables and Wing overhead service carriers. This welcome addition to their preexisting hospital features Case-Care plastic laminate casework by Case Systems, nurse stations and solid surface tops. This six-floor research facility doubled the hospital’s amount of space. 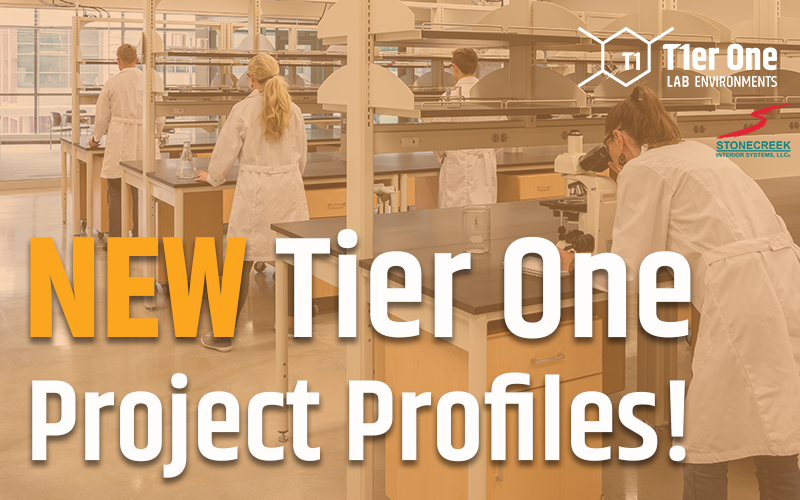 The project featured Premium Tier 1 wood casework, fume hoods and a flexible / adaptable table environment. 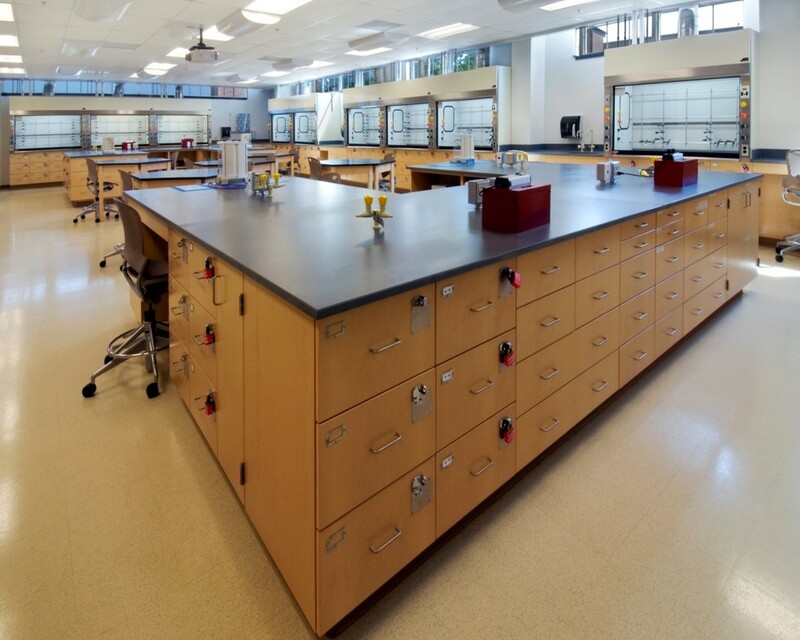 Complete renovation of a building built in 1969 now features CiF Lab Solutions Ascent Series Tables, E-Line Series Tier 1 wood casework and APEX-Air fume hoods. This adaptable and functional design provides 220,000 sq. 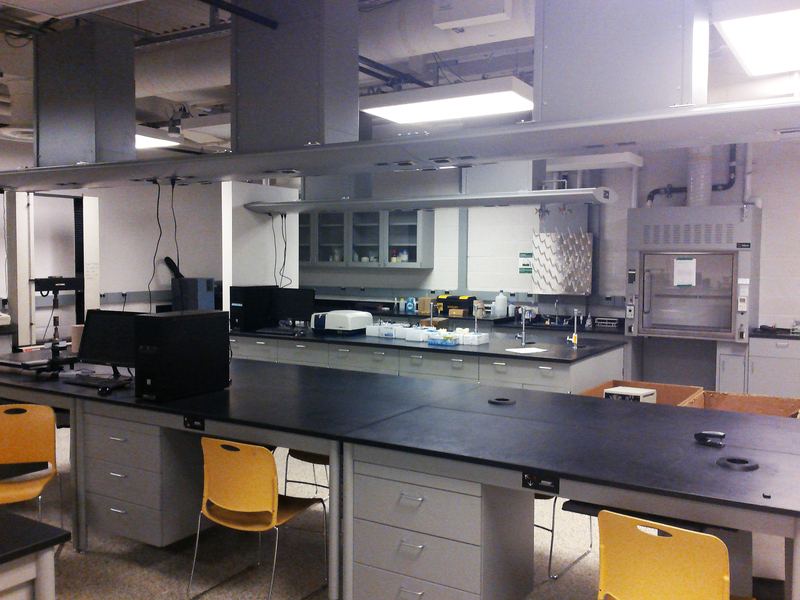 ft. of open laboratory space. CiF flexible Ascent Series table system and S-Line Series painted metal casework with wood fronts, along with Labconco fume hoods complete the scope. 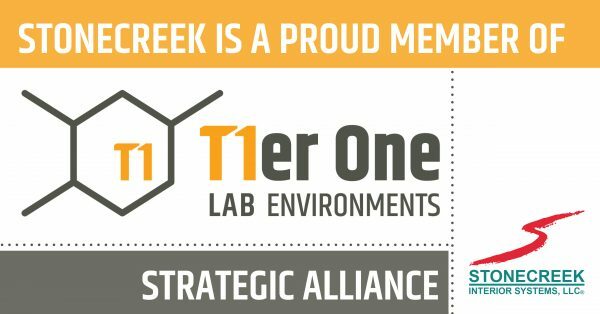 Stonecreek is a Proud Tier One Alliance Member! Stonecreek Interior Systems, LLC. was founded in 1994 as an interiors dealership selling casework and millwork solutions to institutional markets throughout the state of Ohio. In 1998, Stonecreek Interior Systems was acquired by ownership, with over twenty-five years of industry experience within eight states. 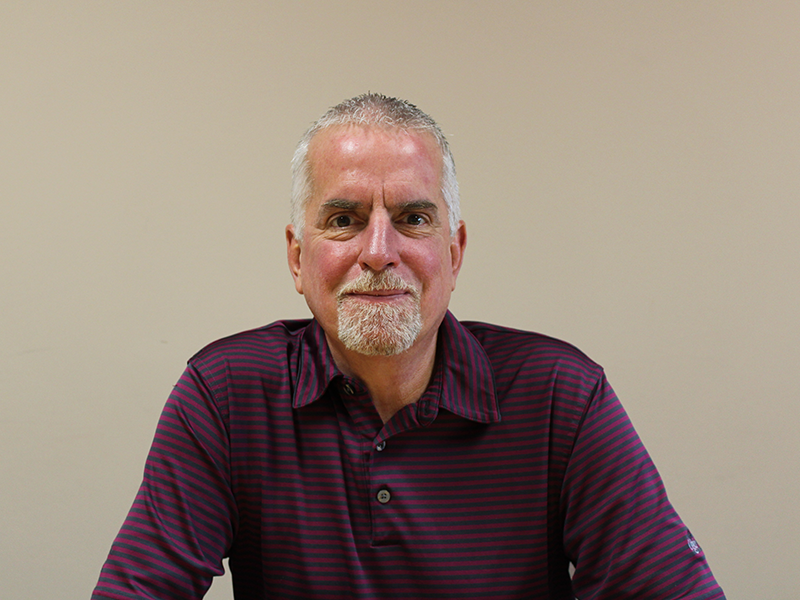 Along with years of background and know-how this new dealer management introduced market expansion into new market segments and territories. Today, Stonecreek Interior Systems covers Indiana, Michigan and Ohio. 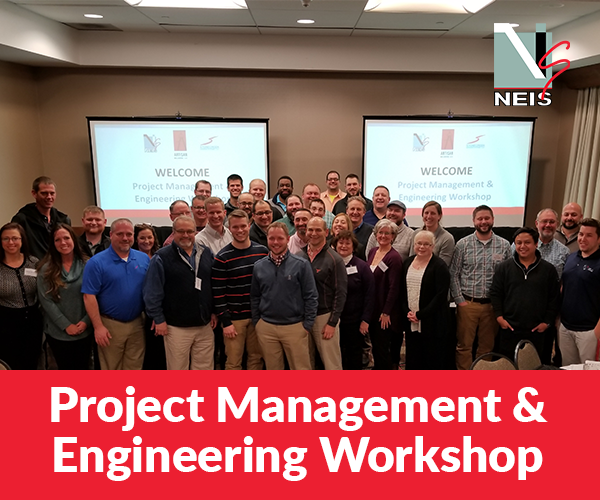 Our team supports projects in a collaborative manner with a full complement of estimators, engineers and project managers. Our services include architectural support, project programming/budgeting, project engineering, trade coordination and installation services. Our portfolio of manufacturers coupled with quality service has been embraced by the communities that we serve. 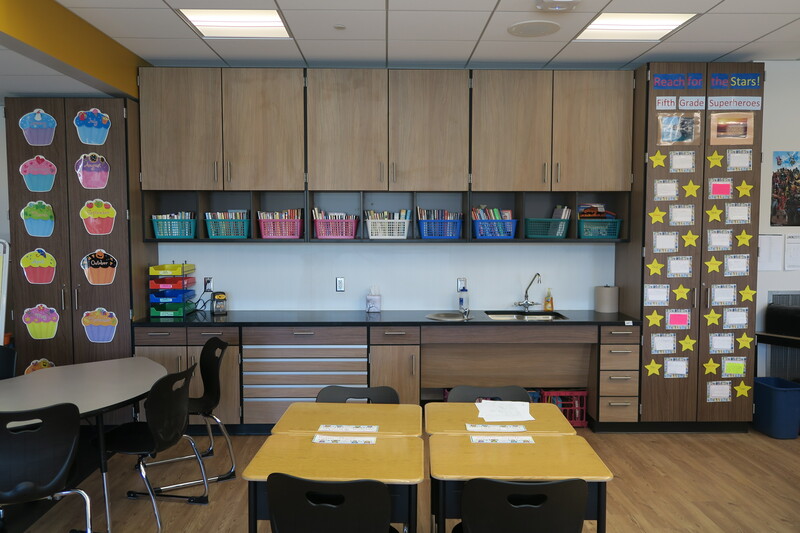 Our values, commitment to excellence and years of experience give Stonecreek Interior Systems the edge and resilience to continue as a strategic and successful school, laboratory, healthcare, and commercial interior solutions dealership. Our ownership has continued to embrace the belief that our success and future are tied directly to our people; both employees and our customers. Best-in-class manufacturing partners combined with professional project management and delivery is what makes our experience preferred. Stonecreek Interior Systems’ has multiple office locations that serve their respective territories. Check out our divisional offices and learn more about the team and what makes each location unique. 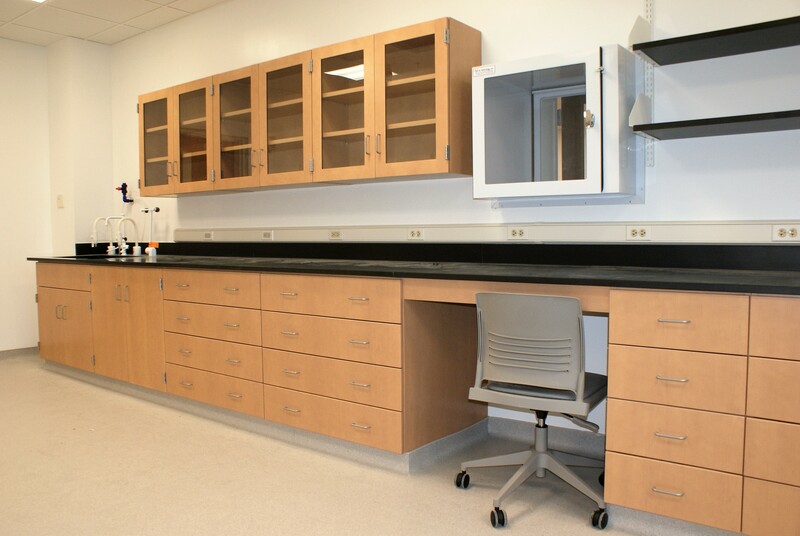 Stonecreek has been a valuable provider of casework and laboratory furnishings for many years. Gilbane would recommend Stonecreek to anyone for these important interior scope packages. We have found them to be responsive to all issues and professional with their approach to providing their services. It has been a pleasure working with Stonecreek over the years. They are an outstanding partner that communicates and delivers on their promises. When we have a compressed schedule and a demanding owner we can count on Stonecreek to go above and beyond to meet those expectations. As an architect specializing in laboratory design, it is critically important to iDesign to help our clients and contractors select the right vendor to ensure a successful outcome – a critical component to achieving our client’s total satisfaction as well as maintaining our reputation. Stonecreek Interior Systems has earned our confidence because of their professionalism and excellent service at the lab equipment order, manufacture and installation stages of the project. They have quality experience, a desire to perform well and have provided the lab casework for many of our most successful projects. I would recommend Stonecreek Interior Systems without hesitation. RFD has worked with Stonecreek on multiple complex projects in the higher-education sector. Stonecreek has demonstrated excellence in project management, product quality, and quality of installation. We highly recommend Stonecreek as a partner in the creation of premium laboratory facilities.